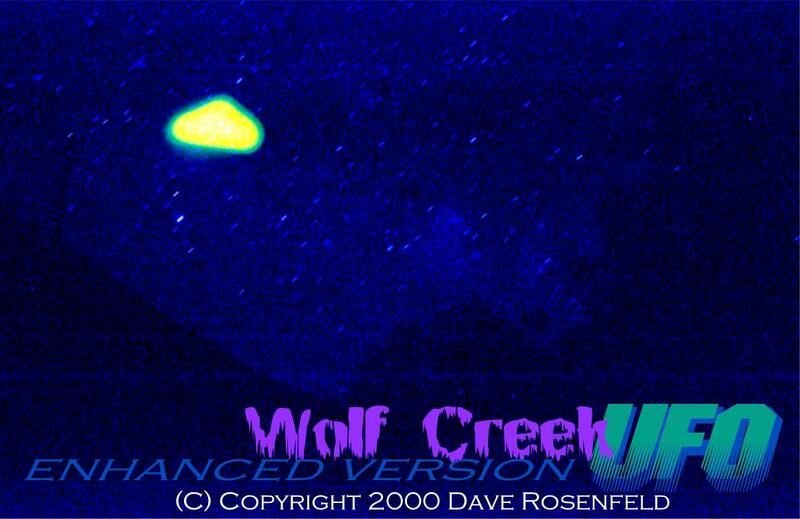 This is an enhanced version of the "Wolf Creek UFO" photo. Enhanced with the original Kodak CD - Contrast and Brightness enhanced to show more detail - you can see the tree tops and mountain side under the object. This is not a NIDS photo enhancement.